Easy to build, so many ways! Easyclick bricks, sticks, and panels, plus a play figure, make building a snap for kids. They can build suggested designs, or build things all their own! Includes 100 pieces in a convenient storage tub. Great for take along playthe storage bin lid doubles as a building base! 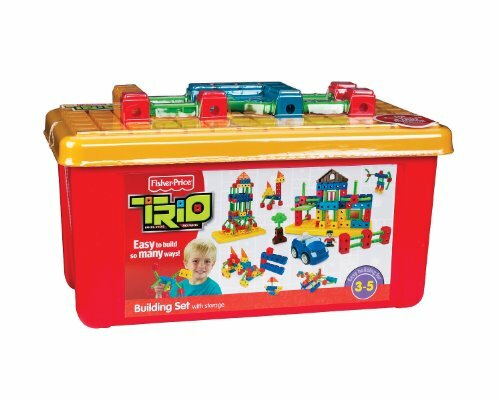 All pieces in the TRIO Building System work together. Collect them all and build a world of fun!